Hi everyone! I am happy you are here taking the time to read my blog post! I know that I don't blog much anymore, but I feel that I really have something to say before I can write a blog post. Since I am a woman of few words, today is the day I will speak more than my 2000. I have a running joke with my husband that he must speak 10,000 words and I just a mere 2000. According to the traditional spouse rules, women usually speak the ten thousand and men two thousand, but not us. 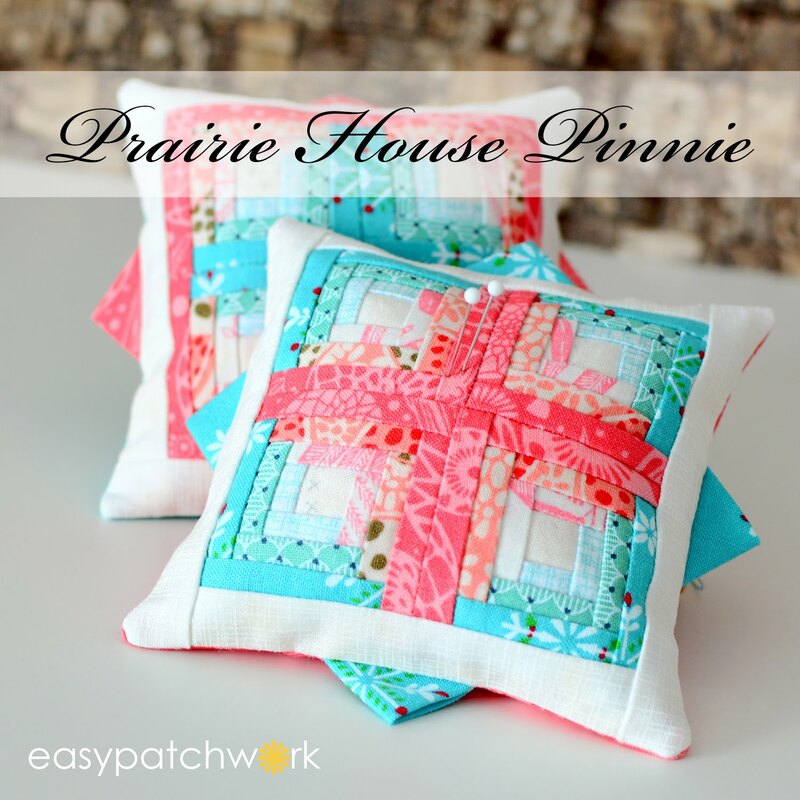 I really love the different seasons of the year and like to celebrate them by sewing a quilt or pillow to add to the sofa in my home. We don't have a lot of decorations up, so this is one way I can really change the feeling of our house. Nothing gives me a better feeling than cuddling up under a homemade quilt in the fall and winter months. But after quilting for 15 years, we have accumulated a lot of quilts especially with the highly loved flannel backing. So now, I am starting to make a lot of miniature quilts and wall hangings for a simple change of decor. I wanted to create something special for the winter months that could actually stay up longer than just until Christmas. Here in Germany, Christmas decorations start the second to third week of November and last until the 6th of January. (Thanksgiving as Americans know it, does not exist in Germany. A lot of people ask me about that.) After the 6th of January, we pack everything up and the house just seems bare! So, this was a little idea to cover the months until spring starts showing us her flowers again. 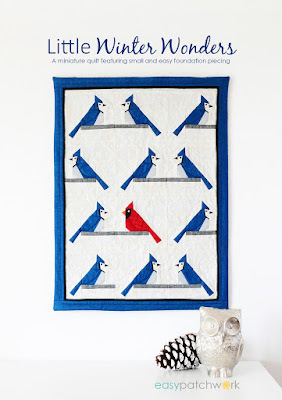 I love the cardinal and but also the blue jay (also known as blue bird, I think). Both of these birds are found in North America and Newfoundland in the winter months. They just make me happy with their bright colors standing out in the snow covered trees singing a tune. 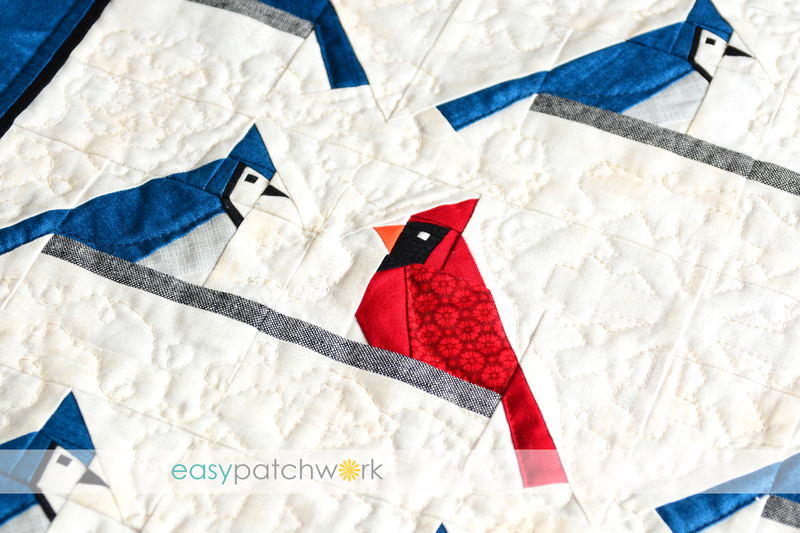 When I designed this quilt I truly looked at a lot of other bird blocks out on the market. I wanted a block that was small and easy to construct and look realistic. 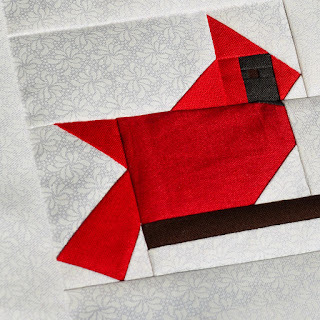 I started designing a cardinal. I wanted a bird perched in the trees. Although this looks a bird, you usually don't see a cardinal with its wing tip stretched out. Come on...it's cold in winter!These birdies are huddles under their wings trying to keep from freezing their feathers off. Then I posted on Flickr to get some feedback that this one was better. I started adding some pine combs to the picture to make it more realistic. 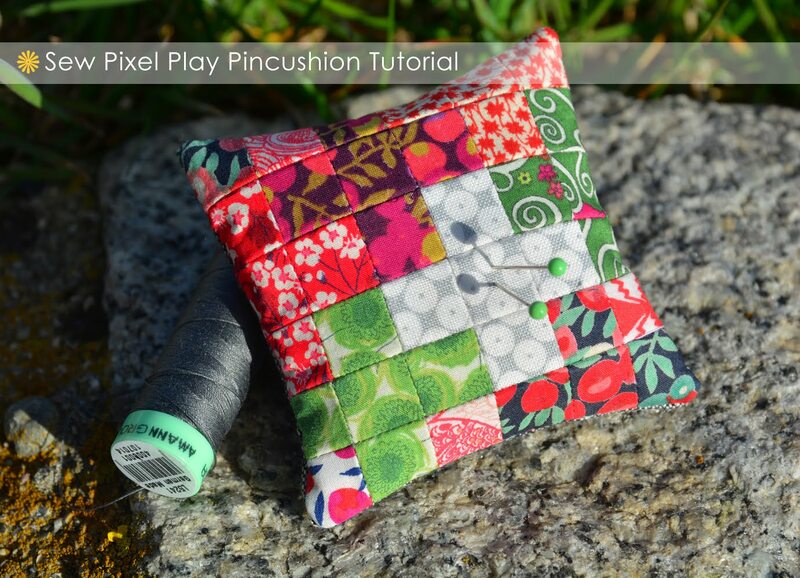 Although this could be doable for some, others would get very frustrated quickly with those tiny pieces. I wanted to create something simple and easy to make with very little pieces to put together. And I not only wanted to create a cardinal, I also wanted to make a beautiful blue jay too. They both have those pointy feathers on their heads. Sorry, my vocabulary is not up to par. I am not a bird watcher nor ornithologist; I am a simply bird admirer. So I thought I could design a bird that could fit both the cardinal and the blue jay. 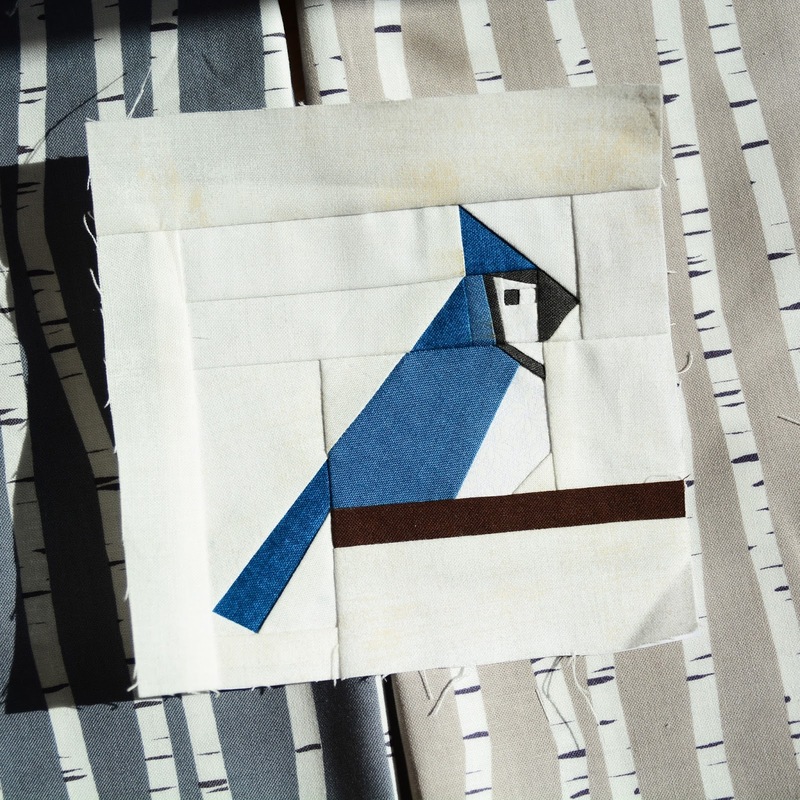 I printed out some templates from EQ7 and sewed my first blue jay. Then I started thinking about the best way to construct the block. When you design FPP patterns, you can draw lines to change the construction of your quilt blocks. I wanted to make the block easy for beginners, but also look interesting. 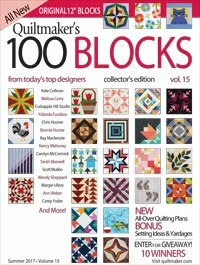 I sewed this block together six to seven times to get the construction I thought would be easiert for all quilters. After looking at these blocks a couple of days, I decided this did not look like a blue jay. I asked a friend, Karen of Ka Holly, who is a little closer to nature than me, what she thought about the designs. She gave me her honest opinion - this one looked better. It might still not be the best, but it does the job for me. I altered the beak to be narrower and pointier like a real blue jay. This was now my main block. I created the cardinal from this block. All of the features are the same, but the bills and collar have been changed. I really wanted just to make a block where you could mix and match features...sort of like the Granimals from the 1970's that my sister and I wore. I love mix and match! Then, after a few alterations, the cardinal was born. I hope you like both birds. They were designed to be interchangeable so less confusion and ease of repetition in construction. I also minimized the amount of piecing for ease. 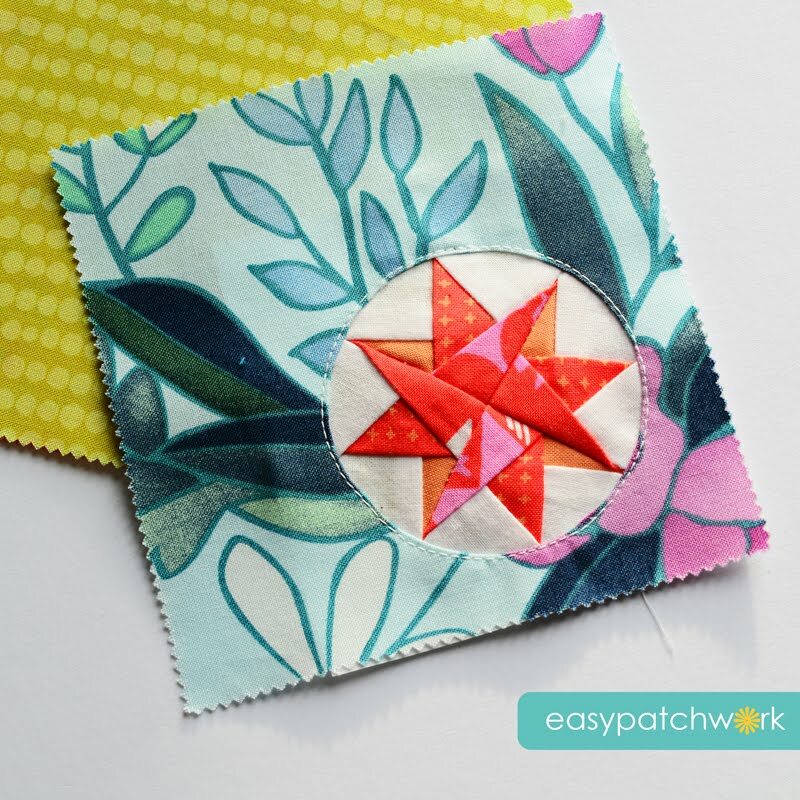 In the pattern, you also gain another little tip about how to pep up your own designs by making piping. It is very simple and adds a lot of pizazz. Here is a close up of those singing love birds. In the background you can see some quilted snowflakes and free motion quilting of wind-swirls. 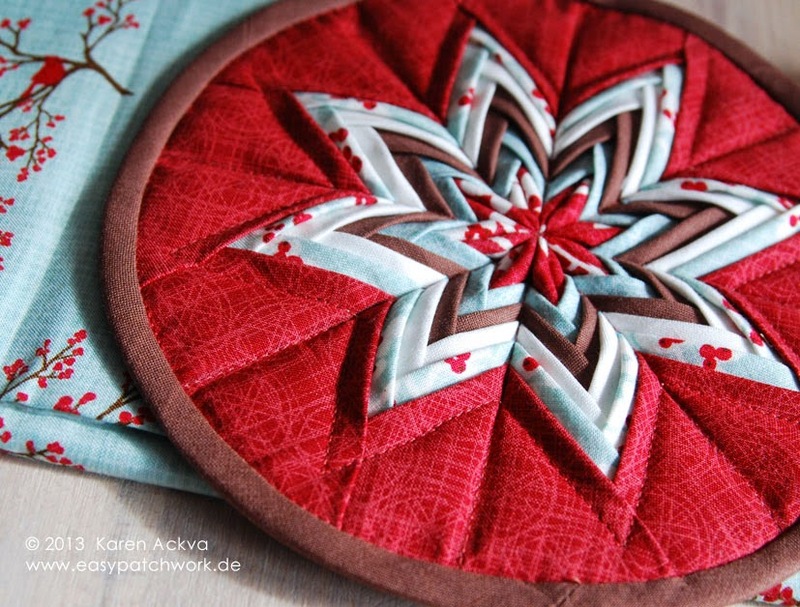 I made my own snowflake templates by folding a circle in half then in quarter or thirds, tracing them onto the quilt and straight line quilted with the machine. It wasn't enough, so I also did some FMQ. I am not totally happy with it, (and seriously thought about ripping git out) It was another learning experience for me to get better. And here is the final design of Little Winter Wonders! The quilt measures 17" x 22" and is for intermediate quilters with FPP experience. I hope you like it. 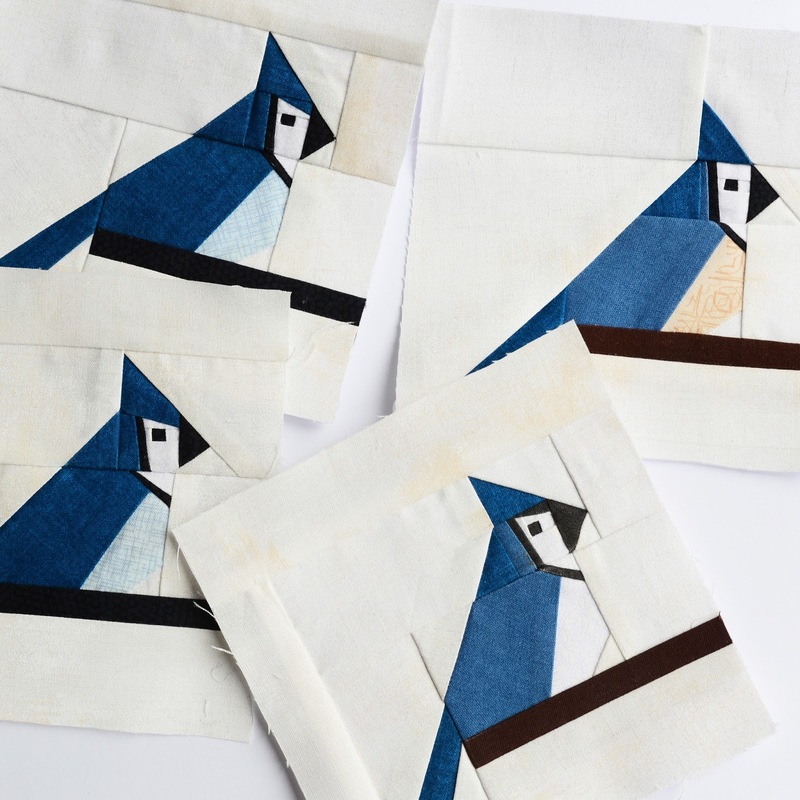 There are ideas in the pattern of what you can also make if you only want to make a smaller flock of birds. 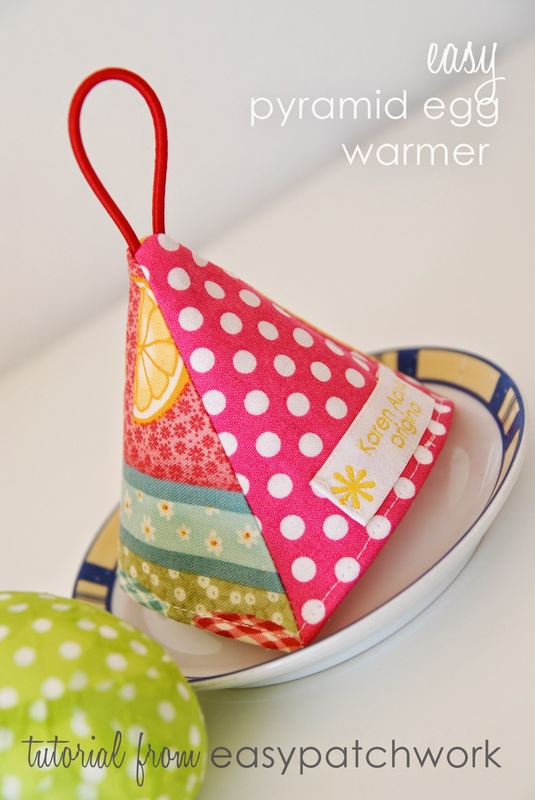 A big thanks goes out to Katrin of Cattinka for proofing my patterns in both English and German. Thanks, Katrin!!! You are the best! I can't thank you enough. And of course, my husband, who helps me with my design ideas and helps with my German translation. Love you, Sweetie! The German version will be available soon. If you are interested in purchasing this pattern, you can find it in my Etsy store - easypatchworkshop. 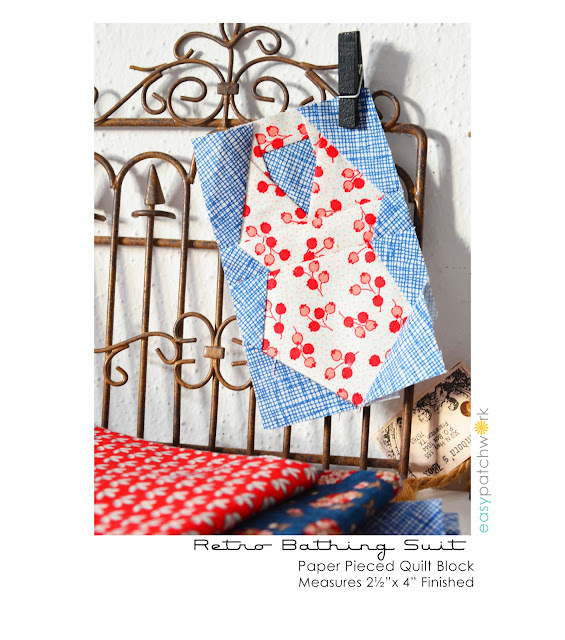 If you would like to sell this pattern in your store, wholesale patterns are available. Please contact me. Just a little side note... a lot of time and energy is put into optimizing patterns. 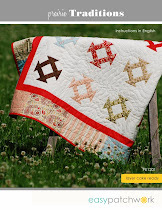 Although there is some good software out there on the market, quilt designers are still writing and creating all of the graphics themselves as well as having the patterns tested. 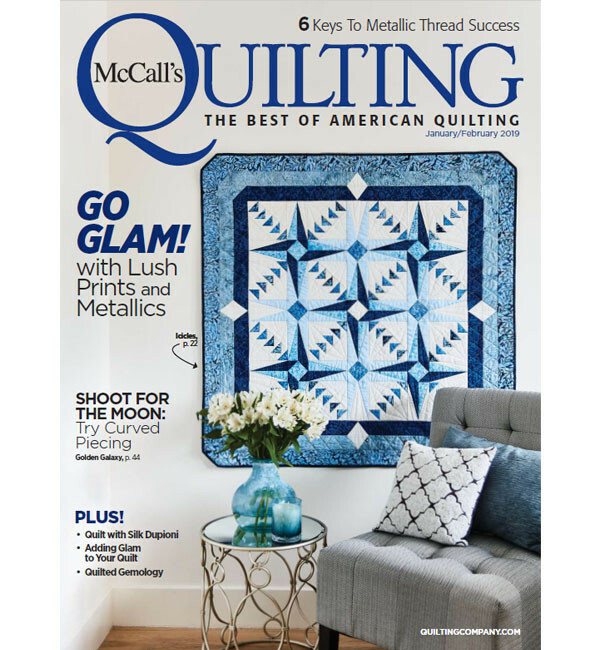 Support your quilt designers and your quilt shops. When they are gone, the hobby will be gone as well. There is nothing like going in to a well stocked quilt shop where the store owner knows you by name, greets you and shares their enthusiasm for your hobby. Thank you for stopping by and learning about my designing process. I truly appreciate it! Thanks! Enjoy your weekend! As a good "American," I decided not only to get ready for the Halloween season early this year, but I also designed a new table topper that everyone can make. You see, my husband is getting onto me every year that I don't decorate the house a little bit better for Halloween. He knows this is one of my favorite holidays, but I am a bit lazy when it comes to decorating for a specific season other than Christmas. 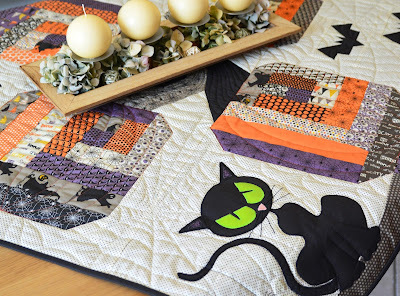 This whimsical table topper features two applique kitties, one on each side as well as four FPP bats, one intertwined pumpkin stem block and four log cabin pumpkins. I tell you, it is really fun to make something using all of your skills as a quilter. I am not too fond of applique, but this is the easiest way to make that kitty. It is all raw-edge applique, but you can just add 1/4 to the templates using two pencils taped together and outlinging the original shape to make your turned-applique templates. 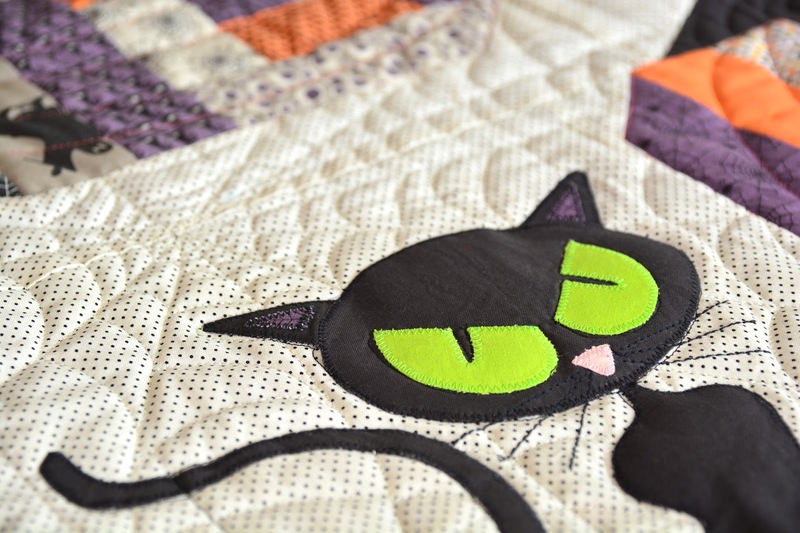 The kitty is truly made of minimal parts and the accent quilting is just gorgeous! A big thanks goes out to Sabine of Quilt-Oase in Nersingen, Germany who did the most specatcular job on the spider web, cat legs and dangling spider quilting!! 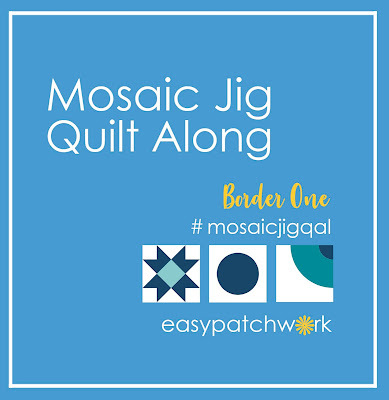 The new pattern consists of 12 pages with a handout of all FPP and applique templates scaled at 100%. Once again, there is no need for scaling on my patterns. 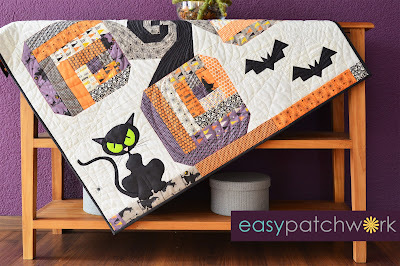 You can find the new pattern in my Etsy Store (easypatchworkshop) or at your local German quilt shop. 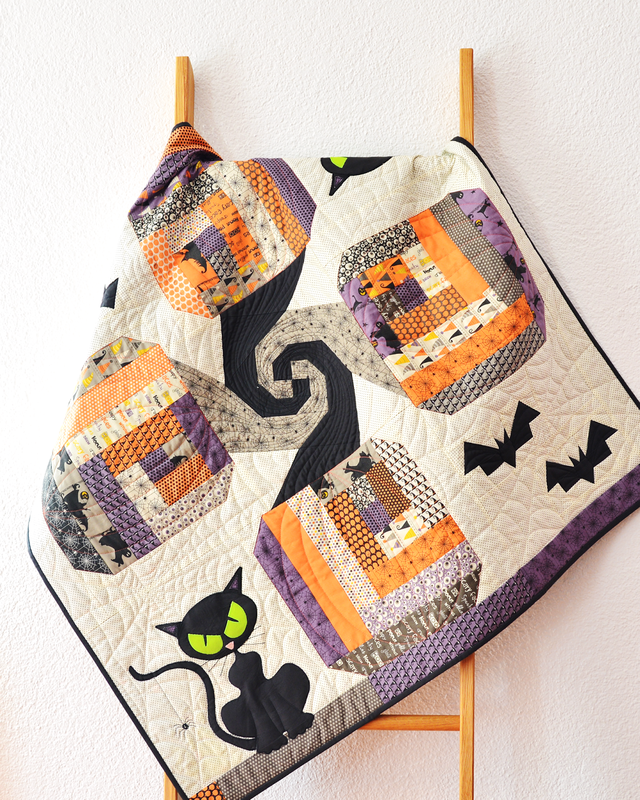 If you own a quilt shop anywhere in the world and would like to sell this pattern, please contact me directly. 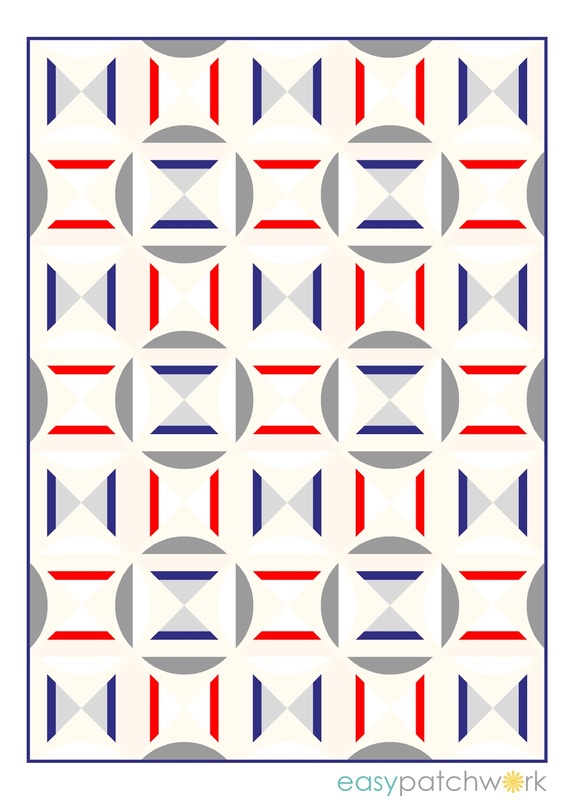 This pattern is available only in English. I used fabrics from the Hocus Pocus collection from Sandy Gervais for Moday and Riley Blake Fabrics - Eek Boo Shriek Creme Dot for the background. 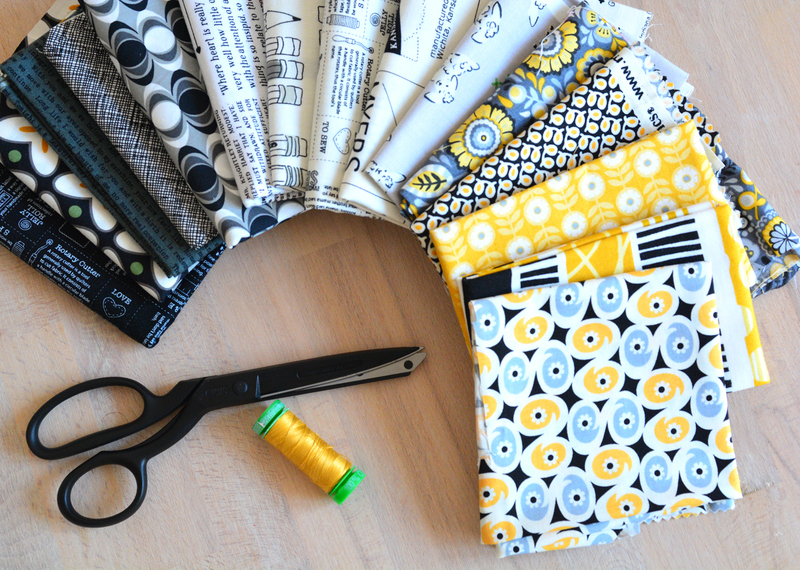 The acid green eyes are actually Chartreuse from Kona Cotton by Robert Kaufman Fabrics. 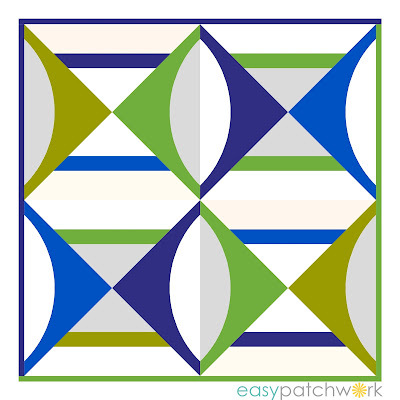 This pattern is for intermediate quilters. Have fun and thank you for stopping by! 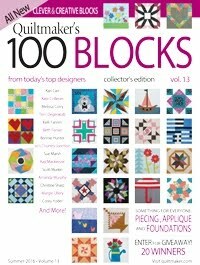 Today, I would like to share with you the latest block I designed for Quiltmaker's 100 Blocks. It is called "Never Ending Time" and is published in Volume 15." As you may know, I do not like to sew HST's (Half-Square-Triangles). I find it tedious to match up all those points. 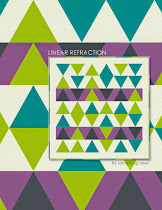 Instead, I have a little infatuation with Quarter-Square-Triangles (if you didn't already know). 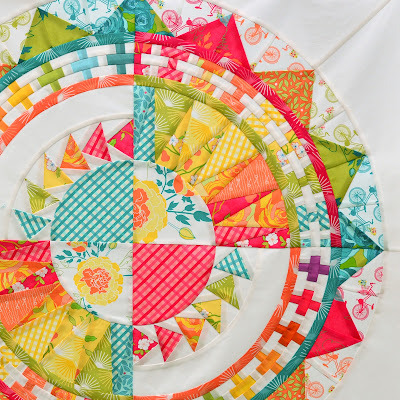 I love to sew hourglass blocks and get tickled when I match up the centers. I love how they nest together and make the easiest sharp point in the middle! Here is a little mini tutorial of how I made this block. 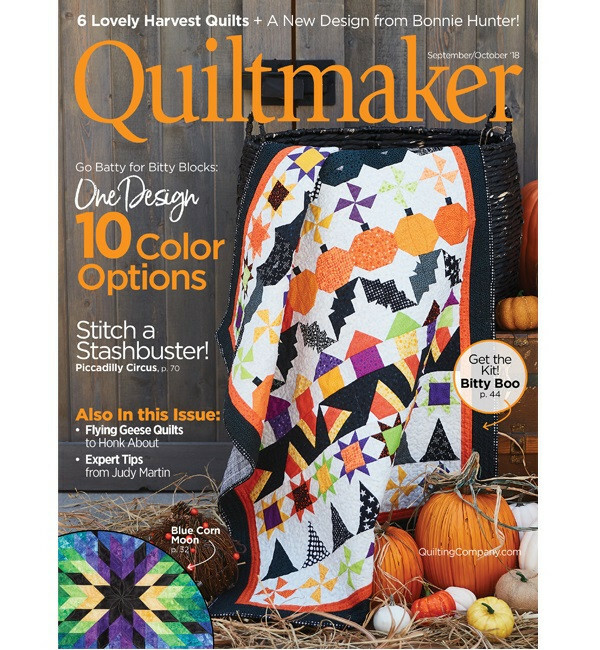 Most of us have a color scheme or preference when we make/design quilts. My first choice is usually the color scheme of my website - turquoise/orange/yellow/gray. Another favorite of mine is black/gray/white and a touch of yellow. 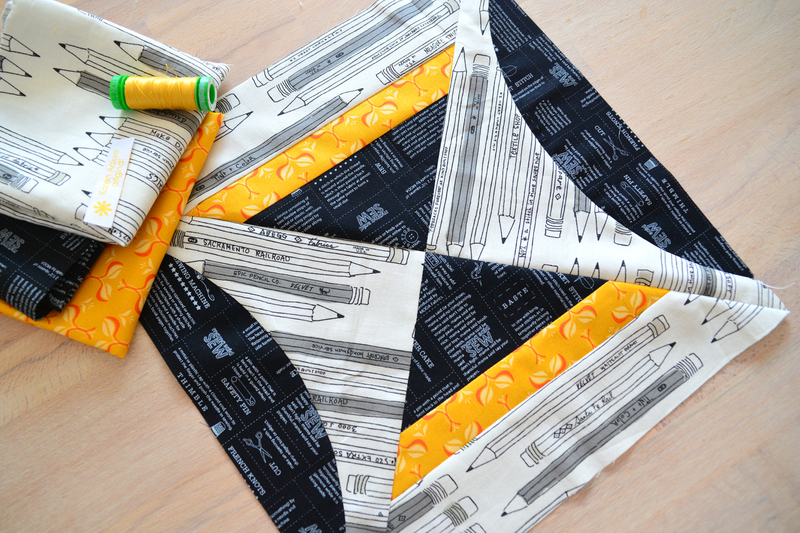 I have been stockpiling a lot of these fabrics and decided to break them out just to make this block. 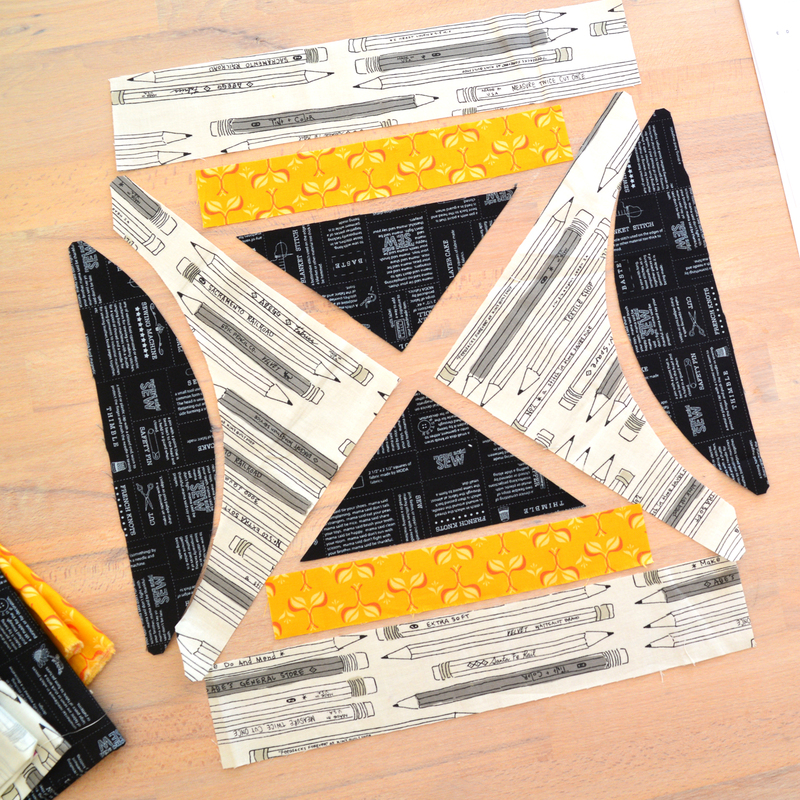 After deciding on just three fabrics, I cut them out with a reference on measurements from my handy-dandy EQ7 program. Here are all of the pieces laid out for quick reference. Please refer to the magazine for exact dimensions and templates. 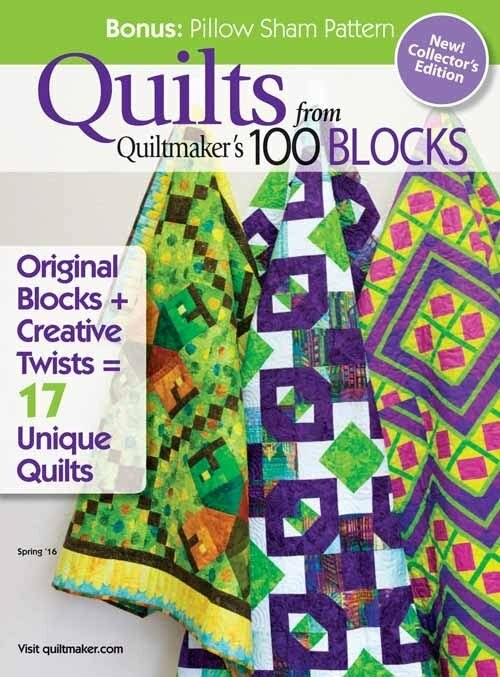 This is my test block, and the directions in the magazine may differ. After I sewed the two hourglass sides together in strips, I squared them up with a 90° angle. Yes, there was a little bit of waste on my original block, but the squaring was more important. Those curves are so gentle to sew together too. Take a look at the reference picture. I don't think you even need to pin them. I did mark the center and pin though. Working on test blocks, you just want everything to fall into place. 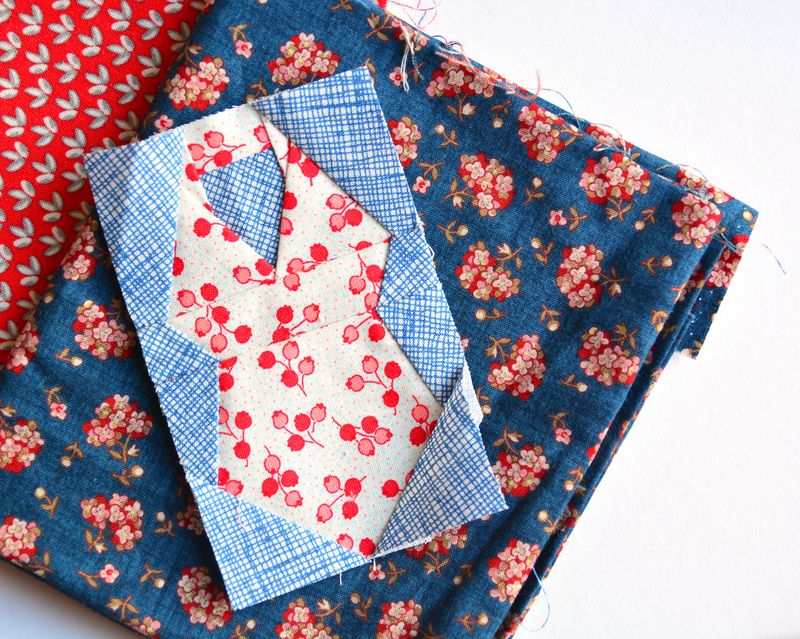 After it was sewn together, I was quite happy with the block. As with all the blocks designed for QM, they are sent in for review. If they don't make the cut, they get returned. 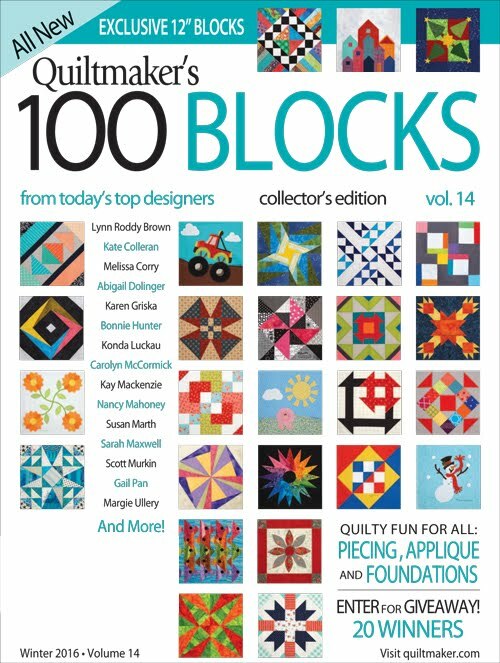 If they do make it, they get published in the magazine and raffled off during the blog hop when the magazine comes out. So, whenever a new magazine comes out, be sure to join in on the fun. 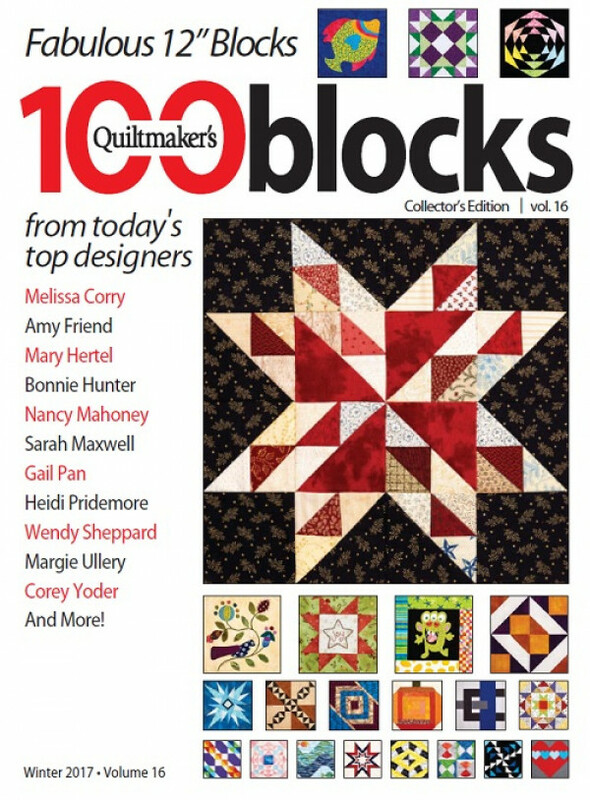 Here are a few quilts designed with the block. This one is a simple 2 x 2 grid of 12" blocks. I personally like how the design creates a second design when placed against another block. You could also break this block down and make a simple strip block and a half orange peel and set them on-point. Here is a more traditional color scheme. 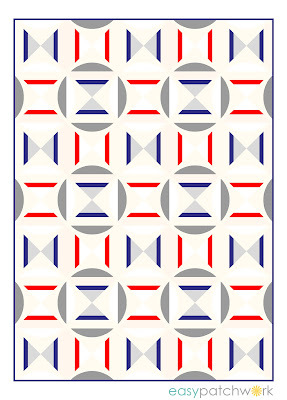 Red, white and blue, being a little patriotic for July 4th, or just think maritime. In this design, each alternate row is rotated once 90°. I like this one very much. Once again, a second design appears. I love to rediscover shapes and movement in quilts. Do you too? 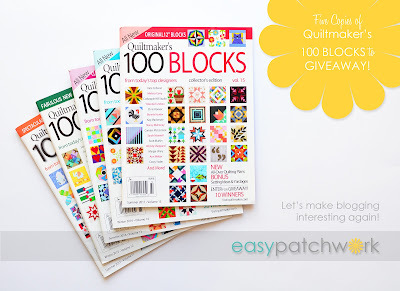 So, please grab your copy of Quiltmaker's 100 Blocks Vol. 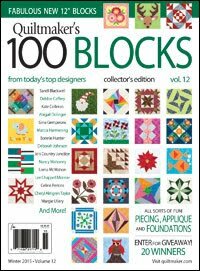 15 to check out this cool block as well as many, many one-of-a-kind and "original quilt blocks designed by today's hottest designers." And one more thing, because I am just totally happy that I have been published not once, twice or three times, but five times, I have a lovely little giveaway. 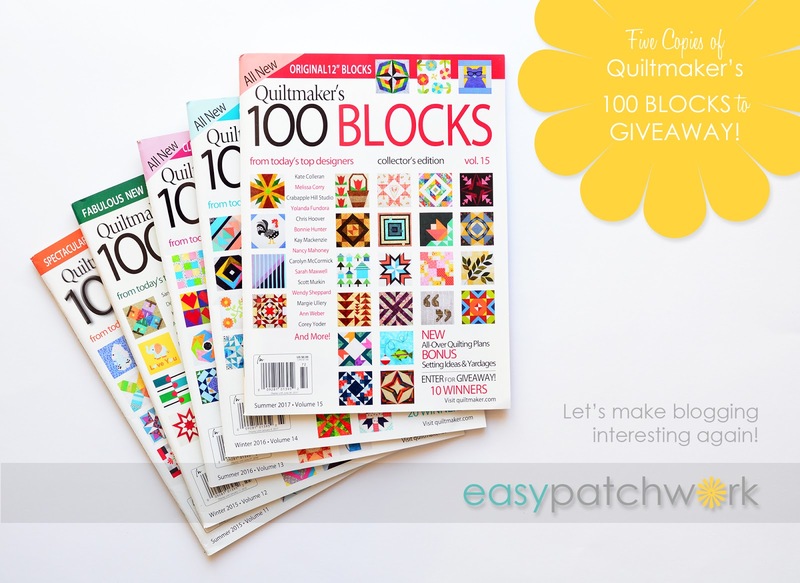 I am giving away one copy of the the last FIVE ISSUEs of Quiltmaker's 100 Blocks. 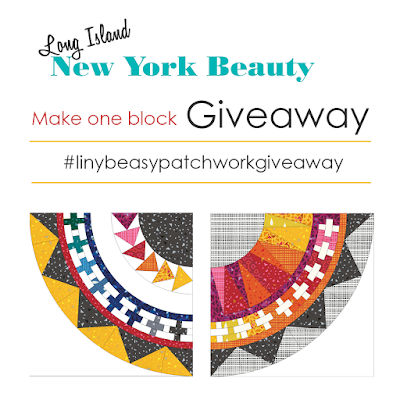 This giveaway is open INTERNATIONALLY TOO. My motto here is to make blogging interesting again. Please share in the comments section below, what brings you to read and comment on blogs (other than giveaways). The giveaway will be open until Friday evening German time. Void where prohibited. One entry per person. Wow! It is hard to believe that I have not blogged in ages, actually a couple of months really. Why haven't I been blogging? Well, after I blogged a couple of months ago and received almost no comments, I became discouraged. With the ease and instant gratification of Instagram, I learned I no longer had to write long, informative blog posts to get people's attention. I only had to make a bit of eye candy, and I received a few comments without the hassle of writing long text. Not that I mind typing. I actually enjoy typing on the computer, since I know how to type with all ten fingers, even on the German keyboard. I get frustrated with that little keyboard on my tiny mobile or smartphone. I really hate the auto correction on it too. I am not a thumb-typer, either and think it is totally funny when I see the younger generations typing this way. My son is 12 and learning how to type in school. I wonder how he will type in the future when he starts using his smartphone for messaging. Okay, now that I have gotten that out of my system, do I really have anything to blog about? Yes! I've actually been quite busy. I've been so busy that I would overload you if I put everything into this one blog post! So, let's start out slow. I started my own business. Yes, I decided to take that big leap. 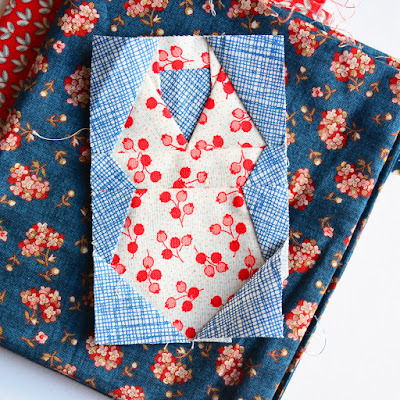 I've been designing my own patchwork and writing my own patterns and tutorials since 2010, I think. I've designed so much, I can't keep it all straight anymore. 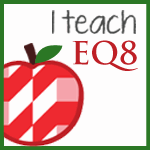 I've overloaded the computer with designs and have about 200 files in EQ7 not to mention the different quilts in each file. Have I made all of them or published them? No. I can't get to all of them. My daughter saw an old file on our tablet where I used to put sketches of quilts. 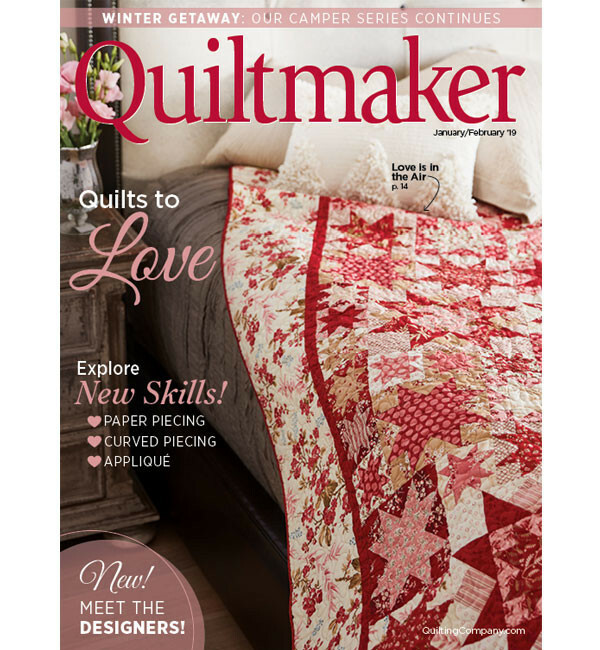 She told me I never made the quilts she saw. Yep, sometimes I just can't get to them all. Sometimes, I even outsource the quilts. 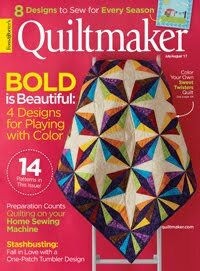 I don't really like to do that, because if I am the designer of a quilt, I want it to be written precisely and accurately. How will I know if it is written correctly if I don't follow my own directions? 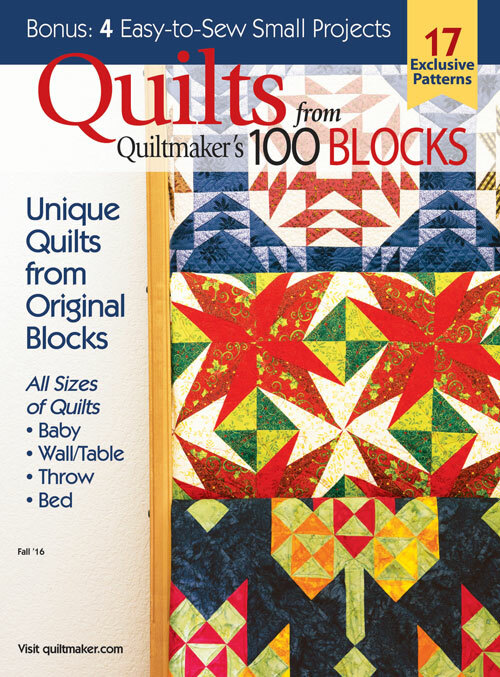 It would destroy me if I knew someone would say, "that Karen, she knows nothing about quilting. She just designs something without thinking." Okay, I am rambling today, but that is good. I am getting it all out of my system just like in a diary. I assure you, there will be a little bit of eye candy today. Back to my own business. 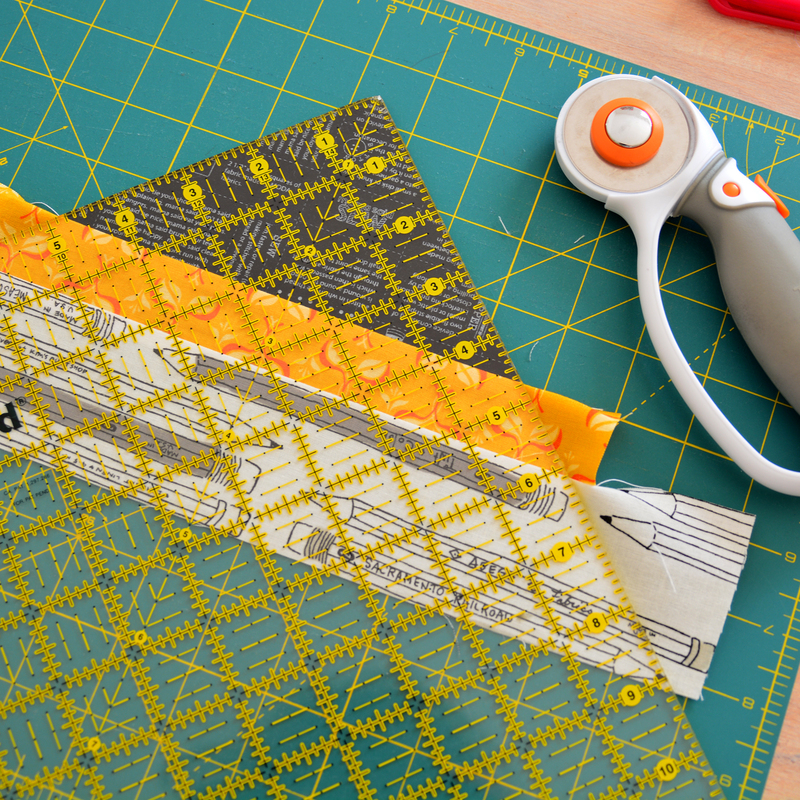 I published my very first printed pattern. Yes, it is very scary, because they are printed. I spent my own money and went to a publisher and had my pattern printed! If they don't sell, well, then, I am out of the costs, not to mention the cost of everything else!! And believe me, after I take out all of the money for expenses, there isn't a lot of money left. 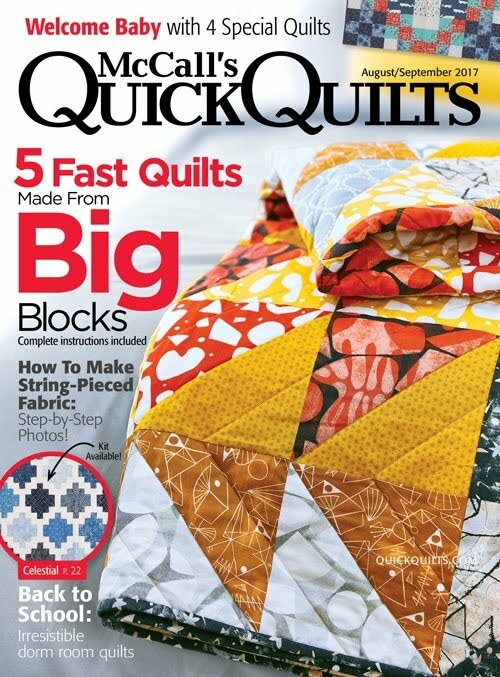 I know why quilt shops go bankrupt. I really feel for them too. 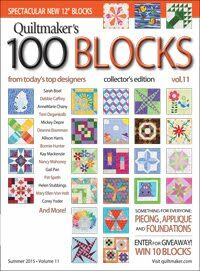 I've been publishing downloadable patterns for years now and not asking for a lot of money, just a few dollars or euros. In today's world, everything is quicker, faster, more redily available. No one wants to pay for anything anymore. I am very sad about that and fed up too. I give a lot of information, patterns, and tutorials away to really help others. There isn't a lot of thanks nor is there appreciation. That really hurts, but I am the type of person that likes to see the good in others. So I decided to start writing patterns and having them published for those who really want a great pattern. My patterns are well thought out, well written and concise too. Don't you get a little discouraged when you print out a PDF pattern and you have to tape ten thousand pieces together or enlarge?? I do! A lot of times when I download patterns I think to myself, "why did I buy this?" This person was not thinking when they wrote the pattern. I can make this myself without the pattern! If you know me in person, you've probably heard me say this too. 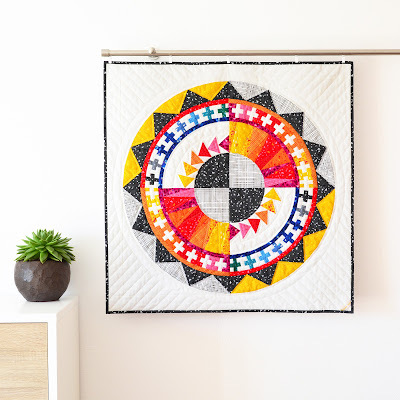 There are very few people with patterns that I truly admire, but here are a few Gundrun Erla of GE Designs and Miss Rosie's Quilt Co. These ladies really rock. They've been doing their stuff for years and are still loving it (I hope.) They may not be at the top of the peak like Tula Pink but they are doing their thing. Thanks ladies! So, back to that pattern company and business. 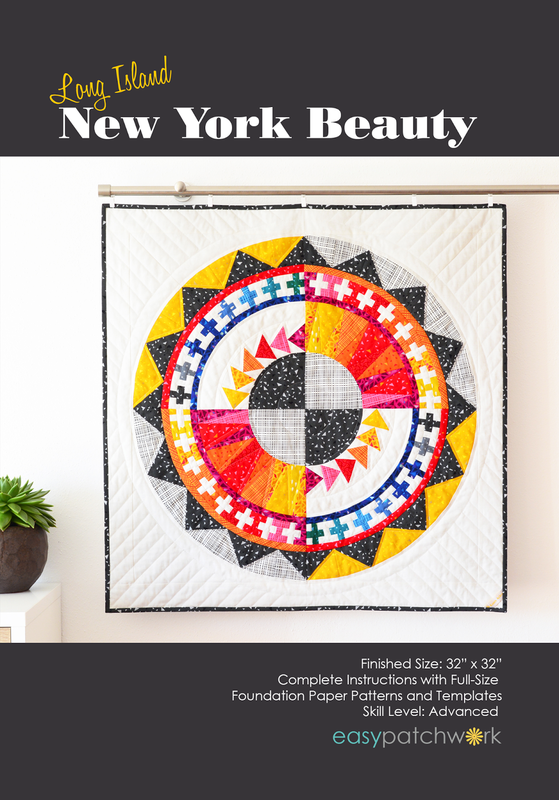 I designed a New York Beauty with some really awesome Geogram fabrics from Samarra Kjaha for Lecien Fabrics. 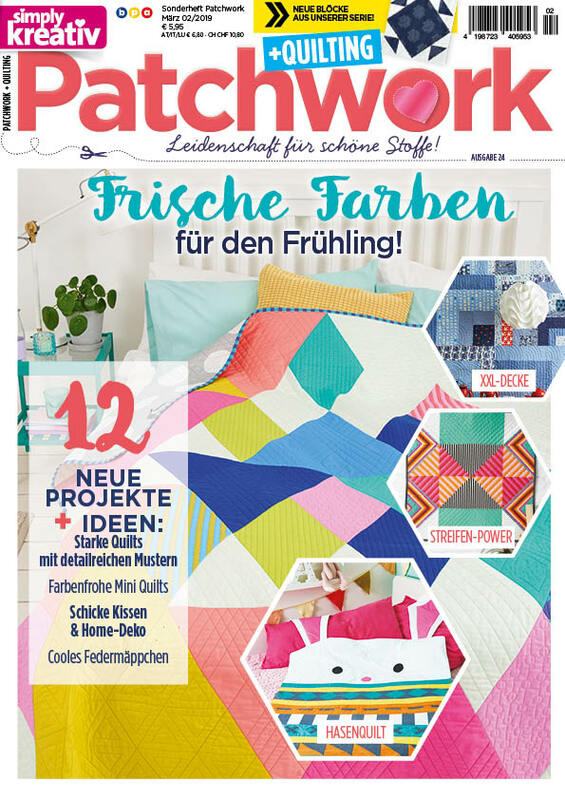 The quilt was presented in Karlsruhe at Nadelwelt by Quilt ét Textilkunst in their booth. 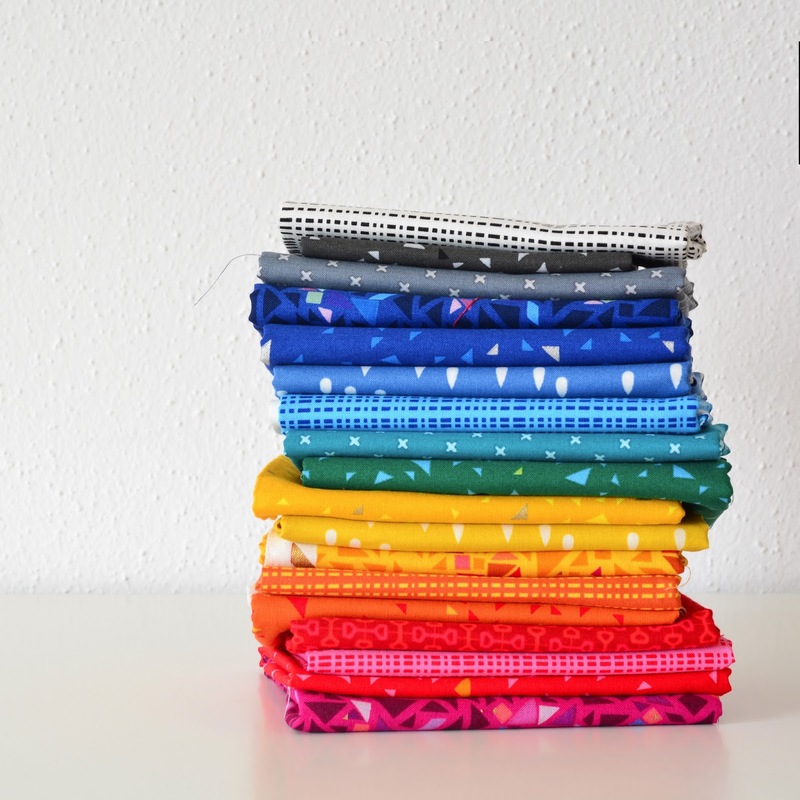 Nadelwelt is one of the larges quilt and crafting fairs in Southern Germany. 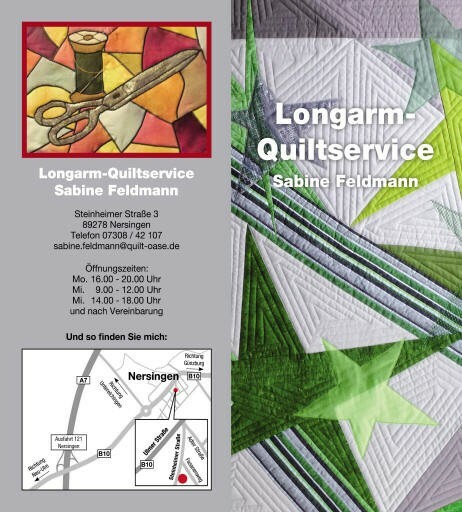 Ms. Christine Köhne and her lovely staff sold my patterns, and kits and sign-ups for a class in their shop in July in Munich. Can you believe that?? I am so tickled!! 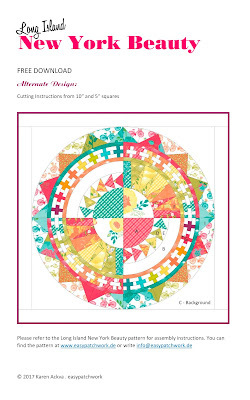 So, if you are looking for an advanced foundation paper pieced pattern with instructions, all full-size templates and all foundation papers to make this lovely 32 x 32 inch wall hanging, just shoot me an email. The complete pattern costs €14,95 not including shipping. Or check it out on my website. 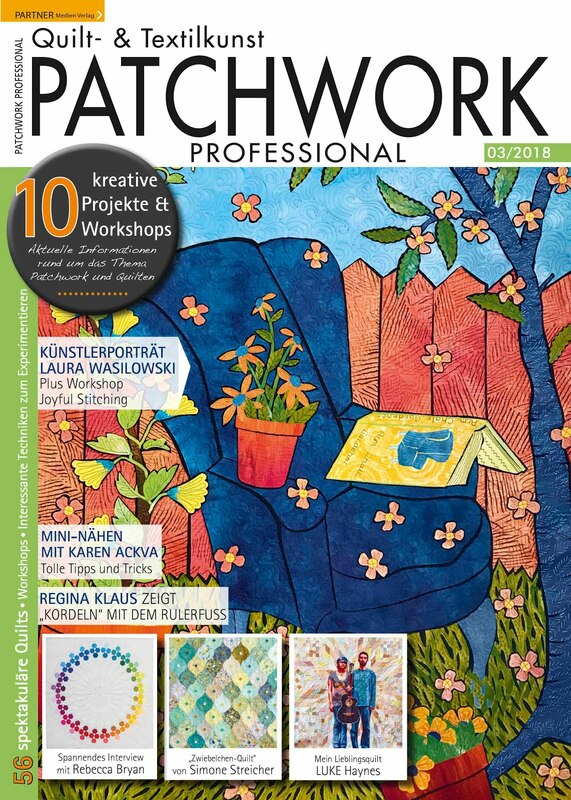 www.easypatchwork.de. Yes, I have a website! I even updated it a couple of weeks ago. I hope you like the improvements. There is free stuff there too! Oh, and if you are looking for a more floral wall hanging, check out this lovely eye candy! 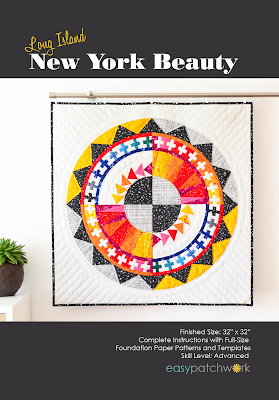 This Long Island New York Beauty was made with a 10" Layer Cake of Acreage by Shannon Gillman Orr for Moda instead of yardage from Lecien. It looks just as lovely as the first too, if I may say so. 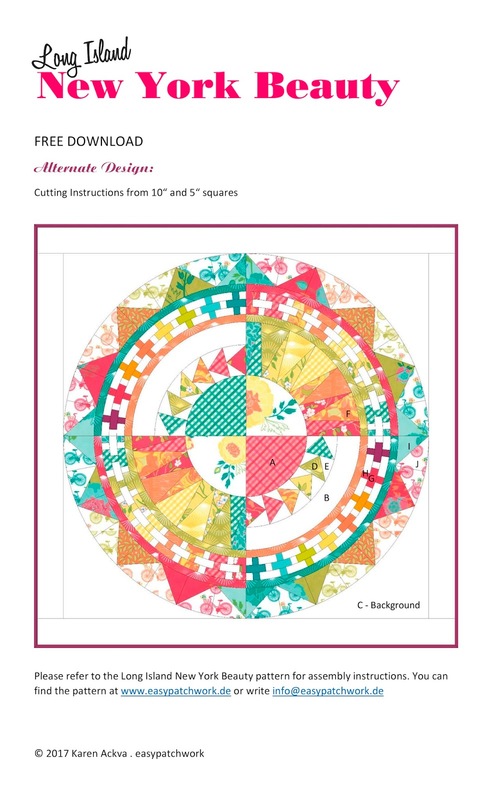 I even wrote free instructions on how to cut up the layer cake and uploaded them to Craftsy FREE, FREE, FREE! Did I mentions this was free?? **EDITED** Because some people still have to complain - there was one negative feedback on Craftsy that this was not a pattern but cutting instructions and was not worth the effort of downloading, I removed the FREE cutting instruction sheet from Craftsy. I think I remeber writing that on the FREE SHEET as well as in the information area? I must have been mistaken. Please accept my apologies! This is why I don't like to post for free anymore. You can find this Alternate Cutting Instruction Sheet on my website for free download. 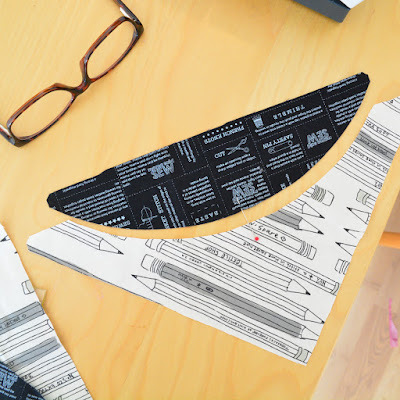 Please remember, this is not the pattern, but an alternate cutting instructions sheet from a 10" stack of fabric. Thank you for your support. I promise, I am going to write a few more posts in the next couple of weeks with a giveaway too. Please stay tuned. Oh, and please support your local patchwork store. Buy printed patterns so we can keep on doing our thing! Thank you!